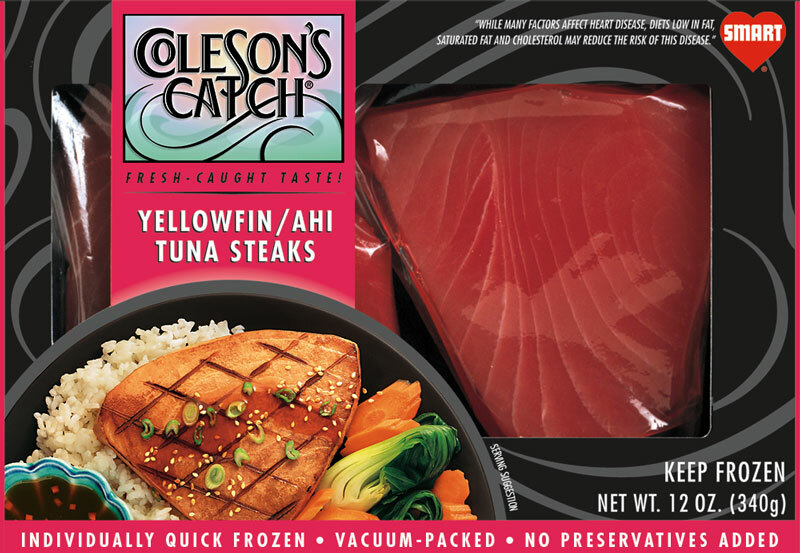 Yellow Fin / Ahi Tuna Steaks | Coleson Foods, Inc.
From the sultry oceans of the tropics, the Yellow Fin Tuna emerges as a robust choice for both sportsmen and vigorous appetites. The deep, maroon flesh color and rich flavor appeals as a healthy alternative to beef-eaters, not only for its firm, meaty texture, but also the definitive, “not-fishy” taste and high protein content. 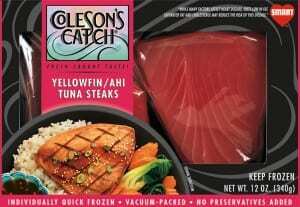 Also called Ahi, Coleson’s Catch® Yellow Fin Tuna can be used in your preferred Asian delicacies.